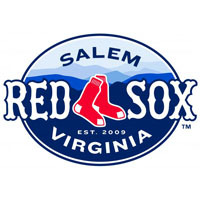 The Salem Red Sox struck out a season-high 17 times against the Winston-Salem Dash as the club was ladled a 4-1 setback Tuesday night at LewisGale Field. Winston-Salem (55-78, 27-36) found success early against Salem starter Matt Kent, plating a pair of runs in the second inning. A sacrifice fly from Dante Flores began the scoring, and a Landon Lassiter single ran the Dash’s advantage to 2-0. After allowing six hits in the first two innings, Kent (10-7) settled down to yield only two more hits in his 7.0 innings of work. In his fourth straight quality start and 13th of the season, the southpaw struck out six and walked only one. The Red Sox (83-50, 40-24) couldn’t do much offensively against Dash starter Jordan Stephens, who was locked in. In 5.0 scoreless innings, Stephens (7-10) allowed only three hits and struck out a career-high 11 batters. With reliever Aaron Bummer in the game in the bottom of the sixth, Salem scratched across a run when Bryan Hudson walked to lead off the inning, stole second base, advanced to third on a Rafael Devers groundout and scored on a Nick Longhi sacrifice fly to cut the deficit to 2-1. Relieving Kent in the eighth, Bobby Poyner surrendered a two-run, two-out home run to Toby Thomas, giving Winston-Salem a 4-1 lead. He recovered to strike out the side in order in the ninth inning. Jacob Morris tossed two scoreless innings for the Dash in the seventh and eighth frames, and Alex Katz registered his first save by twirling a scoreless ninth. The Red Sox continue their series with the Dash Wednesday night at LewisGale Field. First pitch is scheduled for 7:05 pm. RHP Michael Kopech (4-1, 1.23) will take the mound for Salem, against LHP Tanner Banks (6-3, 4.42) of Winston-Salem. For tickets and more information call (540) 389-3333 or slide to www.salemsox.com/tickets.